What could be better than sitting on the couch in front of the Christmas tree and watching the snowfall outside? Hopefully, you've already got one. I mean the tree, not the snowfall. The latter one is quite optional, depending on your personal preferences and climatic possibilities. The Christmas tree is a key. I need to admit I didn't get a Christmas tree this year. I will be travelling all over around visiting my family and friends so I decided to keep +1 tree alive. However, that's what exactly brought me to the question, if - in general - we should be going for the real trees or creatively designed artificial ones? At the end, we enjoy their presence just a couple of weeks. Below are some TESSful Christmas trees what truly inspired me to create and... to support deforestation. 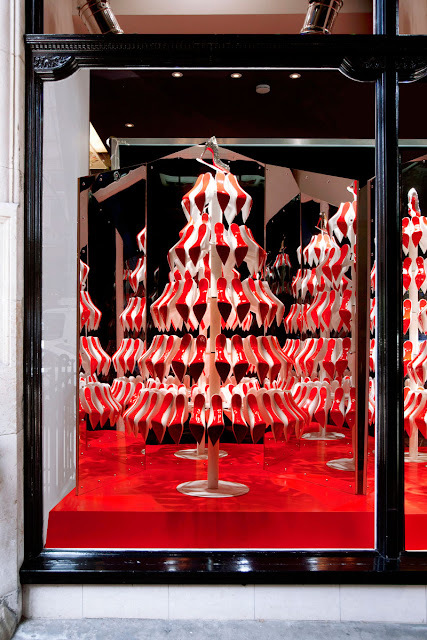 This year Christian Louboutin‘s windows feature a unique Christmas tree assembled from the multiple iconic Pigalle shoes. 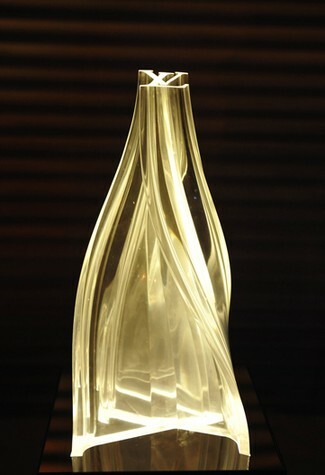 The design was developed by London studio XAG. 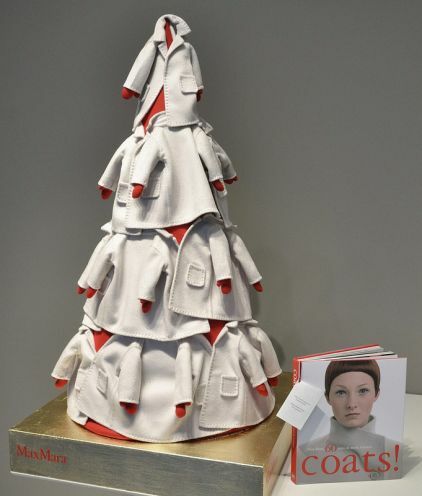 Max Mara has created and donated a Christmas tree made of thirteen little coats in neutral alabaster, sewn by hand and made of fine double knit cashmere. 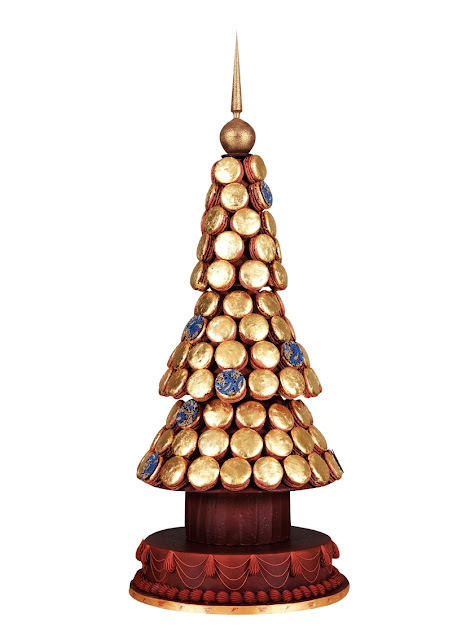 The Christmas tree of macarons from the french 'fabricant de doucers' Ladurée was obviously inspired by the luxury and desire to be the guilty pleasure. Deliciously done! 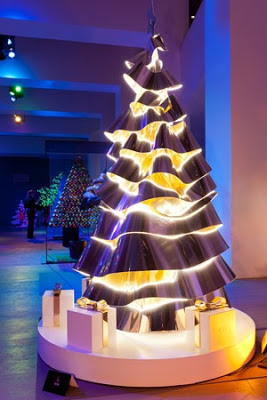 As a bonus, have a look at some TESSful Christmas Tree ideas from the previous years - still amazingly relevant and bright! And you, do YOU prefer a REAL Christmas tree or fancy a CREATIVE one? 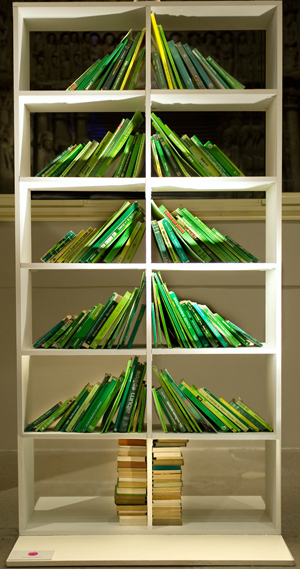 I love the Margiela book tree - wonder if I've got the right colour selections on my bookshelf to create one...hmmm. How was your 'Christmas Book Tree' at the end? 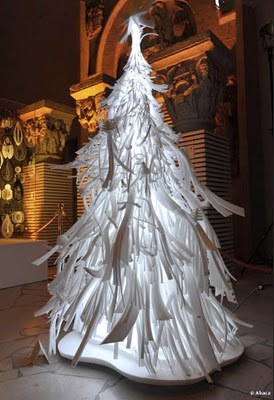 Did you manage to copy Maison Martin Margiela tree? :) Hope so! The idea they came up with was amazing! 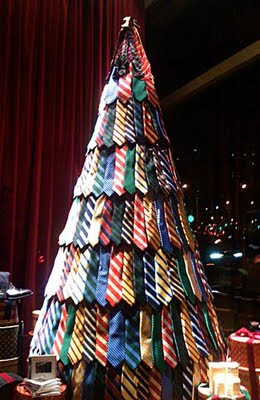 I've seen quite a few Xmas trees made out of books, but this one was obviously the best!! I am glad you liked it as well! Anyways, great idea from the brand side! 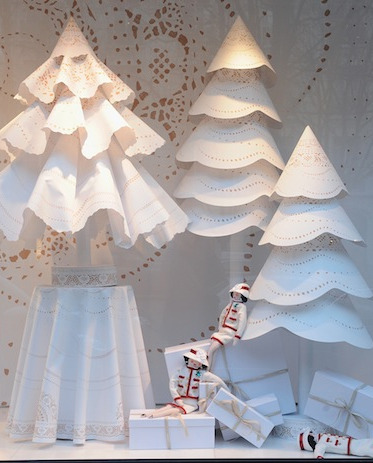 This Xmas tree definitely created a strong word of mouth for Christian Louboutin ! !